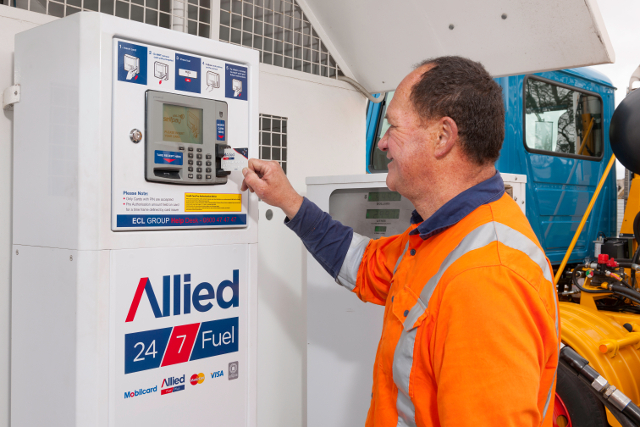 Allied Petroleum’s nationwide network is made up of Service Stations, Fuel Stops & Truck Stops up and down the country. Many of our sites are unmanned and operate 24/7 for your convenience. When you visit one of our unmanned sites, you pay for your fuel using one of our OPT (Outdoor Payment Terminal) machines, which takes a pre-authorisation on your card. Before you can pump your fuel, there’s a banking process to ensure there’s sufficient funds to pay for the purchase (unlike most retail situations, our product is not easily returned). Many hotels use pre-authorisation to ensure incidentals can be paid at the end of your stay, you’ll also strike this practice with rental car companies. So How Does Pre-Authorisation Work? When you insert your credit or debit card the OPT sends a request to your bank to confirm your account has enough available funds. Your bank will debit your account immediately, to effectively reserve the pre-authorisation amount. 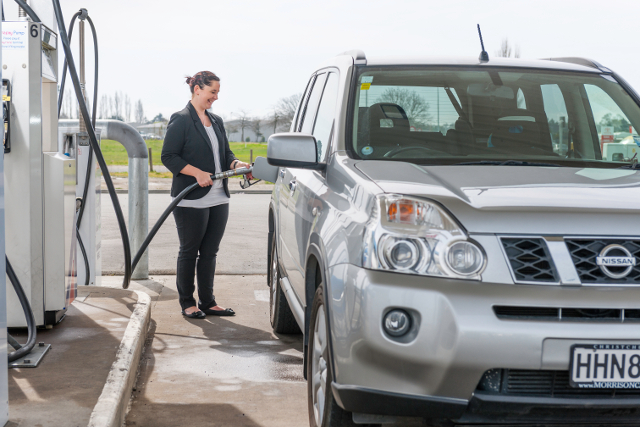 The usual pre-authorisation amount a bank will apply is $150, to cover a typical car’s tank. You can now dispense fuel up to the maximum of $150. When you complete filling and hang up the nozzle, the OPT sends a message to inform your bank of the amount of the actual fuel you purchased. Your bank will than apply this purchase to your account and reimburse Allied Petroleum. It’s important to understand that your bank may hold the pre-authorisation amount for anywhere between several hours and 7 business days (the timeframe will vary from bank to bank), after which time they will release the funds, and your account balance will reflect this. In all cases it is the bank who is holding onto your funds. The OPT just sends the requested authorisation amount to your bank. No money is held by Allied Petroleum. Why Can it Take so Long for the Pre-Authorisation Amount to be Released? A zero dollar transaction. If the pump is authorised and fuel not dispensed, the preauthorisation amount will be reserved until released from the bank. Lifting and dropping the nozzle or taking too long to start dispensing fuel from the pump may cause this. A big difference between the pre-authorisation amount and the amount dispensed. If only a small amount of fuel is dispensed it may raise a potential fraud alarm at the bank and result in delays to the pre-authorisation being released. A pump fault, power cut or other problem may result in a zero dollar transaction. Frequent exceeding of your credit limit, slow payment of your due balance or account activity that may raise an alarm at your bank for further investigation. Releasing of pre-authorisations is the responsibility of your bank. Contact your bank with any questions. In almost all situations, pre-authorisation works extremely well. However if your are concerned about the potential inconvenience caused by the pre-authorisation process we’d suggest ensuring you’ve plenty of credit available at the time of your purchase, or a second payment option. To request a quicker release on any pre-authorisation, or to discuss this transaction protocol further, please contact your bank directly.